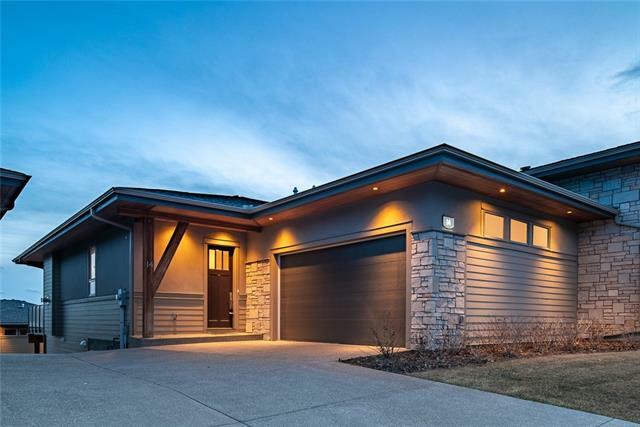 Custom built by Trickle Creek on a 98x149' lot, this home is beautifully designed creating a warm & contemporary atmosphere throughout. Quality craftsmanship includes 9' & 10' coffered ceilings, upgraded lighting, engineered pale oak flooring, and front den/guest room. Perfect for entertaining, the family room offers a welcoming gas fireplace, spacious dining area, and a gourmet kitchen with extended height dove-grey cabinetry, high-end stainless steel appliances including a 6-burner gas range, quartz counters, walk-in pantry, and an oversized island. The master bedroom provides a sanctuary with a spa-inspired ensuite and spacious dressing room conveniently connected to the laundry room. The basement, with in-floor heating, offers a large rec room with 9' ceilings, large windows, linear fireplace, wet bar, and gym - equipment included! Two additional bedrooms downstairs. The home extends outdoor with an extended deck into the West backyard with mountain views. Completed with a heated triple garage. Watermark offers a Centre Pavillion for community events, playground, basketball court and cascading waterfalls and walking paths throughout. Additional items included under goods not attached to the land and building:Gym equipment, two dishwashers, double ovens, Underground Sprinkler system in front and back, Reverse osmosis system. Home for sale at 43 Stoneypointe Pl Rural Rocky View County, Alberts T3L 0C9. 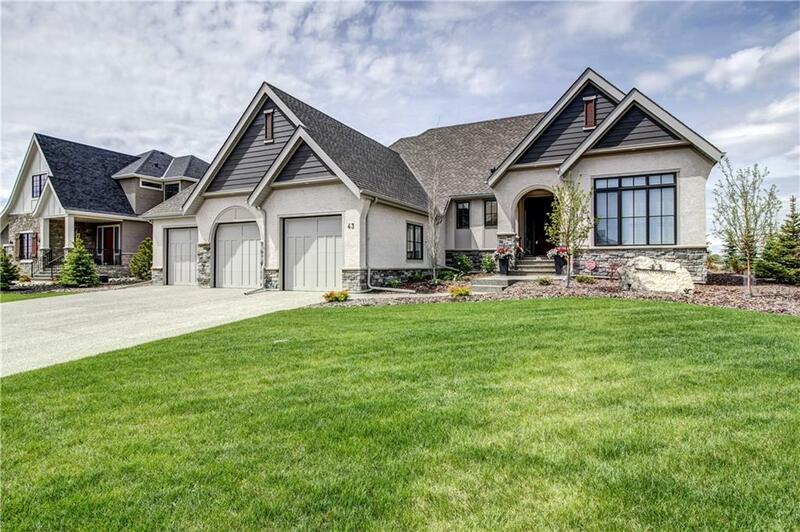 Description: The home at 43 Stoneypointe Pl Rural Rocky View County, Alberta T3L 0C9 with the MLS® Number C4223689 is currently listed at $1,349,000.